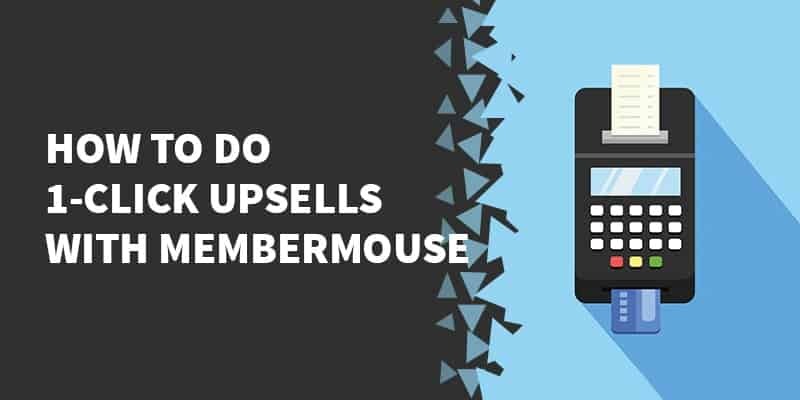 This article will explain everything you need to know about using 1-click upsells with the MemberMouse WordPress membership plugin. In order to be able to use the one click upsell feature in MemberMouse, there are a few prerequisites you have to meet. You MUST use a payment processor that offers “card on file” functionality in order to make use of one-click upsells in MM. When a customer first purchases a product from you and fills out their credit card and billing details, these payment processors keep the customer’s card on-file (hence the term “card-on-file”, duh). Their info is stored in a safely encrypted format, that will allow the customer to make additional purchases from you without having to re-enter their credit card or billing details again. Their “card on file” will simply be charged instantly. *Note: You can NOT do 1-click upsells in MemberMouse with Paypal. Anytime you accept payments on your site and require your buyers to enter their sensitive payment information, you absolutey should have an SSL certificate installed and active. You don’t necessarily need to have the SSL active site-wide (although that’s generally a good practice), but you should have it active on all of the pages involved in the checkout process. Technically you don’t have to use an SSL certificate; the checkout process will work fine without it. But by not using one, you’re putting your customers’ credit card and debit card information at risk of being intercepted and stolen. Do you really want to do that…? By definition, an upsell can only occur after an initial sale has been made. Whether the sale was made a minute ago or a year ago is irrelevant so long as the credit card that was used is still valid and on file with the payment processor. This ‘front end’ product can be either a one-off purchase OR a recurring subscription; it doesn’t matter. Then, once the customer has made his first purchase, you have the opportunity to present him with a “1-click upsell”. If he clicks Confirm to proceed, the same payment method that he used to purchase the front end product will now be charged for this additional upsell. That’s why it’s called 1-click (although technically, the confirmation popup makes it 2-click). Alternatively, the customer can elect to use another credit card by clicking the “Use Different Card” button. This is logical because if the customer is NOT logged into WordPress, how can MemberMouse know which member’s card to charge? The cool thing is that when a customer makes any front-end purchase from you via the MemberMouse check out form, they will be automatically logged in. This means you can create funnels consisting of a front-end product and unlimited upsells / downsells, all of which can be purchased with one click because the customer already automatically logged in after that first purchase. However, when the customer returns to your site, his login session may be expired, which would require him to log in again in order to be able to make another 1-click (or 2-click) upsell purchase. 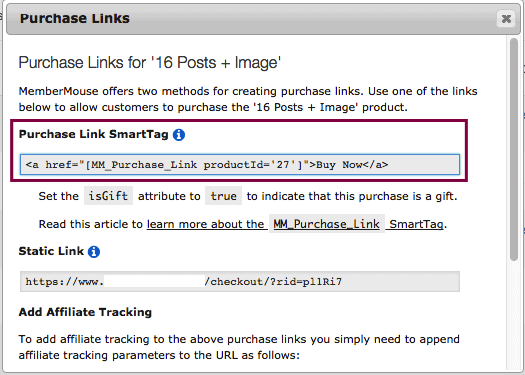 2 – The upsell payment link MUST be created using a MemberMouse SmartTag link (not a Static Link). 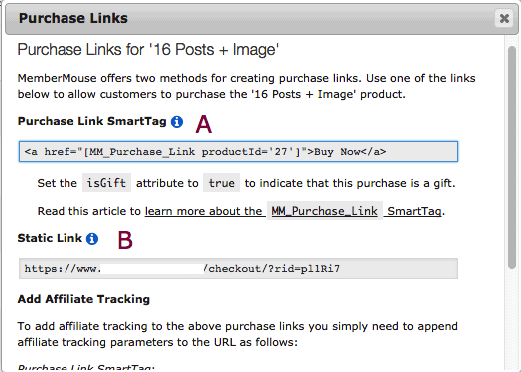 When you insert the SmartTag link anywhere in your content, it will automatically charge the card-on-file for the product if they click through. For example, if we place a SmartTag link on a test page (see screenshot below), and a logged in member visits it and clicks on it, they’ll be presented with the confirmation popup letting them know that they’re about to purchase the product in 1-click and have their card-on-file charged. If the customer originally purchased via Paypal or a NON card-on-file payment processor, they’ll simply be taken to a pre-filled checkout form instead. Not a bad alternative! Let’s say your customer bought your front end product 6 months ago. Now, six months later, she decides she wants to buy one of the upsells that you offer her in the member’s area of your membership site. When she goes to make this 2-click (or 1-click) purchase, she’ll receive an error message stating that the payment method didn’t work. This could be because her credit card expired, or there’s a hold placed on the card for security reasons, or any of a number of other situations that might cause a card to not work. The cool thing in this case is that she’ll have the option to enter another payment method and try the purchase again. This works so long as you keep the confirmation dialog box enabled; what we’ll call a 2-click upsell. Technically, a 1-click upsell is when the customer’s card gets charged immediately when he clicks the buy button on an upsell offer. But by default, what MemberMouse gives us is in fact a 2-click upsell. That’s because after clicking a purchase link, the customer is presented with a confirmation popup box that lets him either (A) confirm the purchase and charge his card, (B) use an alternative payment method, or (C) cancel the transaction. I suggest using the 2-click upsell flow because it’s a more permission-based approach. I’d rather make sure that my customers really want the thing I’m offering them than to spend my days on support requests from customers who inadvertently bought my upsell because they clicked the upsell link and immediately got charged for it before they had a chance to give it any thought. 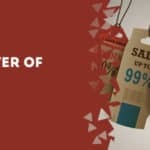 On the other hand, depending on your industry and your funnel, this 2-click upsell process may lower your conversions. So if you want to utilize the TRUE 1-click upsell and get rid of the confirmation popup, here’s how you do it. 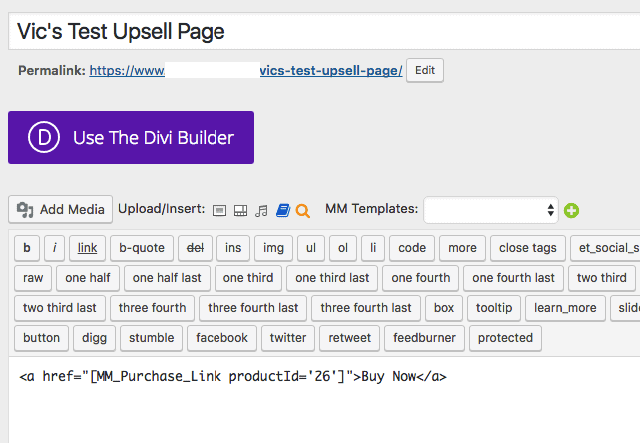 But let’s back up a bit and explain how to actually generate your upsell purchase links correctly. 1 – Go to MemberMouse => Product Settings and find the product that you’d like to offer as an upsell. *Note: you can also generate 1-click upsell purchase links in the Membership Levels and Bundles sections. 4 – Paste the Purchase Link SmartTag in the place you want to offer your upsell. *Note: you can use a clickable image, a text link, or a CSS button to create your upsell link just by changing the SmartTag a bit. *Note #1: these attributes are case sensitive so make sure you copy and paste them exactly as they appear here. **Note #2: attributes can be either optional or required. You must always include any required attributes or the SmartTag will simply not work. productId (optional) – Indicates the ID of the product to purchase. Following a successful purchase, the member’s account will be updated appropriately. If the product is associated with a membership level or bundle, then that membership level or bundle will be applied to their account. 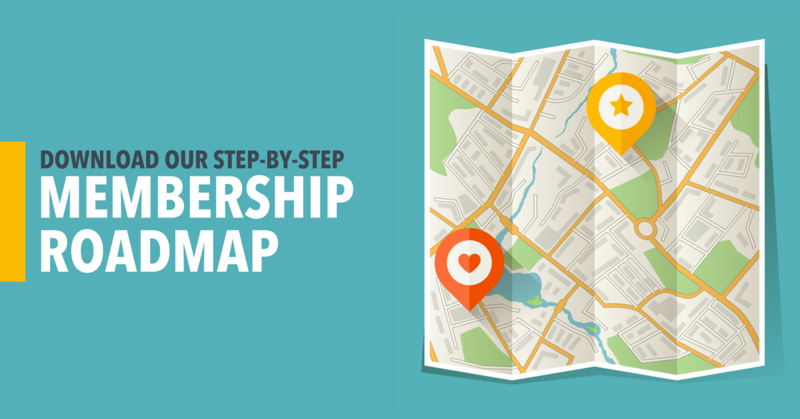 membershipId (optional) – Indicates the ID of the membership level for the member to sign up for. If the membership level is a paid membership, then the default product from the membership level configuration will be used unless a specific product ID is specified in the productId attribute. autoLogin (optional) – When this is set to true a login token will be appended to the URL so that when a member clicks on it they will be automatically logged in. The default value is false. useCardOnFile (optional) – This attribute is only applicable when you’re utilizing a payment method that supports card on file functionality. When using a card on file solution, if there’s a card on file available for the current user, purchase links will be generated in a way that instruct MemberMouse to use that user’s card on file to make the purchase otherwise a standard checkout link will be generated so the user can enter in their billing information on the checkout page. If you set this attribute to false then regardless of whether the current user has a card on file or not, purchase links will always take the member to the checkout page to complete their order. The default value is true. bypassConfirmation (optional) – This attribute is only applicable when you’re utilizing a payment method that supports card on file functionality. When using a card on file solution, if there’s a card on file available for the current user and they click on a purchase link, the default behavior is to display a confirmation message asking the user to confirm the purchase. If you set this attribute to true then the confirmation message will not be displayed and the user’s card on file will be billed. If you decide to bypass the confirmation message, it’s your responsibility to make it clear to the user that they will be charged when they click the purchase link. The default value is false. paymentMethod (optional) – This parameter is used for certain offsite payment methods. 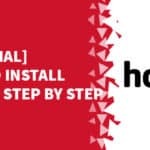 It instructs MemberMouse to generate a link that goes directly to the offsite payment method’s checkout form instead of going to the MemberMouse checkout page. The only valid value for this attribute is clickbank. The payment method specified must be active in your payment methods configuration in order for this to work. isGift (optional) – When this is set to true the product being purchased will be purchased as a gift. The default value is false. In the members area you can present 1-click upsells to members at anytime you want by simply inserting a MemberMouse Checkout SmartLink. And in doing so, you may wish to use conditional SmartTag Equations when you present your offers so that you don’t make an offer to somebody who’s already purchased it (or, fail to make an offer to somebody who hasn’t purchase it yet). This SmartTag equation says that IF the member does NOT have access to the membership level with ID #5, then show the content in between the opening and closing SmartTag statement (in this case, the 1-click signup link for membership level #5). This way, ONLY those folks who don’t have this membership level will see this offer. Those who do have it will not see anything; it will simply be blank. One of the reasons why I really love MemberMouse is because it can handle such a wide variety of use cases. Say, for example, that you run a services business (as we do), and you want to be able to manage your customers in a convenient dashboard, let them switch between various levels of membership, prorate their subscriptions, and generally manage everything as if you were a SaaS company (but without having to build a customer dashboard from scratch). Further, let’s say you want to be able to offer these customers additional services, upgrades, and consultations with a single click. MemberMouse has got you covered! 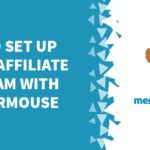 Even though the majority of folks use MemberMouse for selling and managing information products and recurring membership sites, the powerful functionality that MemberMouse gives you can be applied to a large number of different types of businesses. Another thing that makes MemberMouse a winner is that it’s extensible, meaning that it’s developer friendly and that you can build additional functionality on top of the existing foundation. MemberMouse offers a suite of developer tools that makes it easy for developers to do their thing. There’s no such thing as a perfect tech solution for a given use case, and MemberMouse is not an exception to this axiom. We don’t use MemberMouse in our business because it doesn’t quite suit our specific needs. But we have many customers who use it, and love it; some who like it but wish it did more, and some who hate it and are in the process of switching. Again, it all depends on what you’re looking to do with your business. Picking the right tech that will let you do what you envision, and crucially, NOT prevent you from doing the things that you want to do as your business grows, is the whole reason we created our business and our website. These are not trivial choices because once you’re locked into a solution, it’s no simple matter to transition to another solution. And frankly, bouncing from app to app isn’t the way to go. MemberMouse has stood the test of time as an excellent membership plugin and we’ll continue to support their efforts and contributions to our little corner of the net. If you need help with choosing the right tech for your projects, be sure to take the Tech Quiz. Second series of posts called "Best Practices For Selling Your Digital Products"